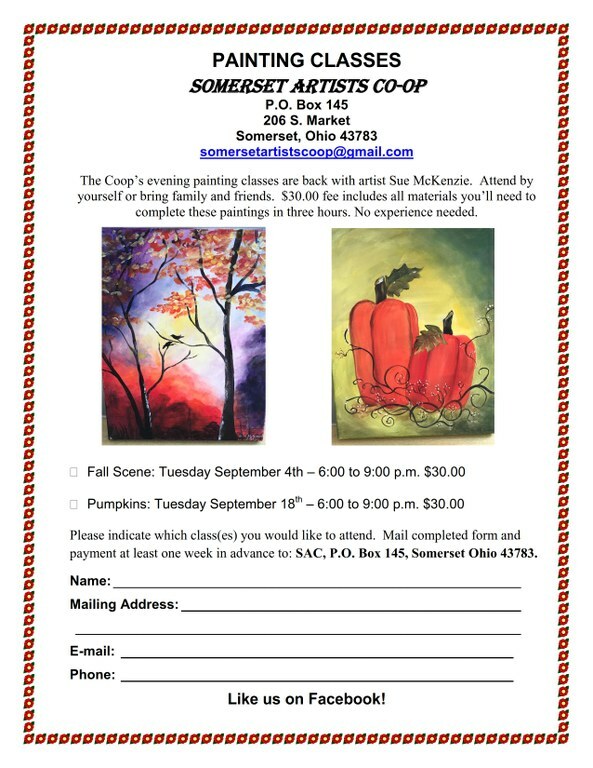 The Somerset Ohio Artists Coop’s evening painting classes are back with artist Sue McKenzie. Attend by yourself or bring family and friends. $30.00 fee includes all materials you’ll need to complete these paintings in three hours. No experience needed.